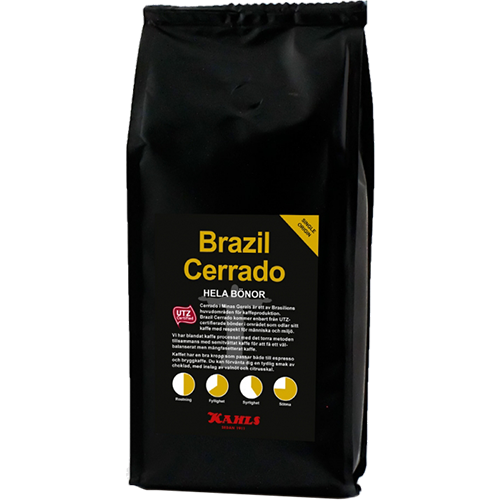 Kahls Brazil Cerrado coffee beans are from one of Brazil's main areas for coffee production. Brazil Cerrado comes exclusively from UTZ certified farmers in the area that grows their coffee with respect for humans and the environment. We have mixed coffee processed with the dry method along with semi-washed coffee to get a well-balanced but multi-faceted coffee. The coffee has a good body that fits both espresso and brew coffee. You can expect a clear taste of chocolate, with walnut and citrus.